Traveling is one of my favorite things. I love a new adventure as much as the next person. When my friends think of traveling they usually ask me for advice or if I would want to come because they know my life for it. I already have four trips brewing for this summer. Traveling is so much fun the planning, packing, and discovering of new places… but travel can also be overwhelming and stressful. 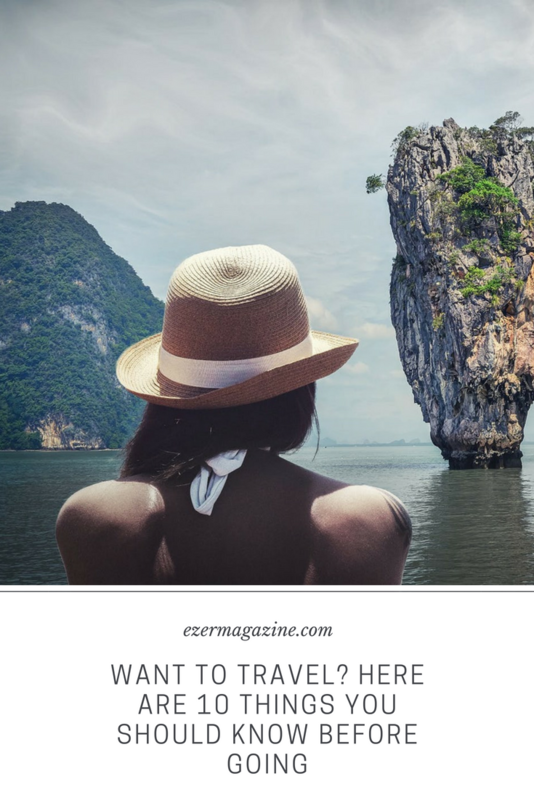 As I have traveled throughout the course of my life, I have compiled a list of tips that every traveler should think about before embarking on a new adventure. Here are 10 travel tips you should think about for your next adventure! Now, this may seem like a “DUH” but for us adventurous souls, but for others, planning can sometimes sit on the back burner. I am all for a spontaneous trip but most of the time there needs to be some planning. Decide where you are going, how you are getting there, and where you will stay once you are there. If you can answer these three questions then that is good enough planning for me. It is never fun to get somewhere and then not know where you are going to stay or to have somewhere to stay and not know how you will get there. I would advise you to do this 10 days ahead, then a week ahead (yes three days later the weather can change that fast), and then the day before you leave and the day that you leave. This way if you are all packed and then on the day you leave the forecast calls for rain in the next two days you can grab an umbrella and rain jacket really fast. This will also help you pack for whatever may get thrown at you. When packing, roll your clothes instead of folding them. This allows you to have more room and pack more. There are also videos on youtube that can teach you to roll a whole outfit together into a nice little bundle. This works really well and allows you to pack everything into a carry-on suitcase or even a bookbag. I have done this for my past few trips (twice to the UK for ten-twelve days). It works really well and if you are tight on space this will also help. If you are flying this helps a lot, but it also works when driving. Wear your heaviest pair of shoes, coat, pants, etc. If you do this then you have more room in your bag and it allows your bag to be lighter. Once you get on the flight (even once you are through security) or in the car you can take it off and carry it if need. You can also layer your clothes if you need too. I had a friend once say she used a pair of pants as a scarf (LOL) because they didn’t fit in her bag, you make anything work. When I went to the UK everyone in my group got really car sick and had horrible headaches. So the next time I went I learned that I should carry meds with me all the time (and I still do even in my school bag around campus). It is simple to have a few things like; ibuprofen, Pepto-Bismol pills, Dramamine. This allows you to have painkillers, some for upset stomachs, heartburn, and motion sickness. Even if you do not get sick very easily your friends and family will be grateful, and you never know what will happen when going to a new place. Pack items that can be worn with several different outfits. There are hundreds of videos on youtube that take 10 to 15 items of clothes 20 to 25 different ways. This allows you to pack less while still having enough clothes to wear. Having a good foundation can save you lots of space; black, white and gray shirts, a pair or two of jeans, two pairs of shoes that can be wear for casual or fancy events. These will save you so much space and allow you to pick things up without people really noticing. My first time to the UK we were only allowed to bring a carry-on because our teacher didn’t want to check any bags. So my dad and I bought cheap socks and underwear (and brought some old) and threw them away as we went. I also brought a few pairs of old leggings that had holes in them or were really thin and threw those away as well. This allows you to have room at the end of the trip to put souvenirs. If you are really pushing for space, or you don’t want to deal with packing liquids (because for real the whole ounces things for flights is stupid) then buys your toiletries once you get to where you are going. This may seem like a waste of money when you already have these items, but it can really save you (because we all know someone who has had things ruined because of shampoo or something in their suitcase or bag). If you are going somewhere international, you should try to exchange your money before you leave. I have gone out of the country a few times and each time saved so much money by exchanging my money before I left. The exchange rate is usually all over the place and it will charge you if you get your money outside of the US and the airport’s rates are crazy. This will also save you time because you won’t have to worry about it once you are there. And if you aren’t a cash person then make sure your card can be used outside the country and how much it will charge you if you do use. Also before you leave let your bank know you are going, international or not. They may freeze your card, this happened to my grandparents when we went to South Carolina last summer. It wasn’t even international and it happened! This tip is for the more adventurous souls. If you are flying somewhere that has a connection or layover try planning a long layover. This will allow you to have two adventures in one. You can leave and go explore for a short time and then go back and catch your flight. You have to be good with time for this one but if you are and can swing it you will end up having two trips in one. Remember that these are just a few of the many tips for travel. Pinterest is full of them if you want more. Traveling is good for the soul, so have fun and let the wind take you to new places and see all the beauty God has created around the world.